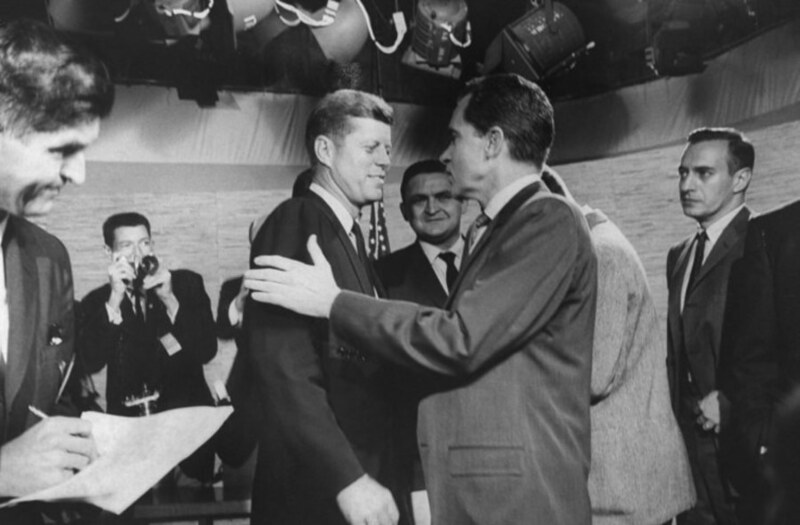 First-ever televised presidential debate: 52 years later, will tonight matter? 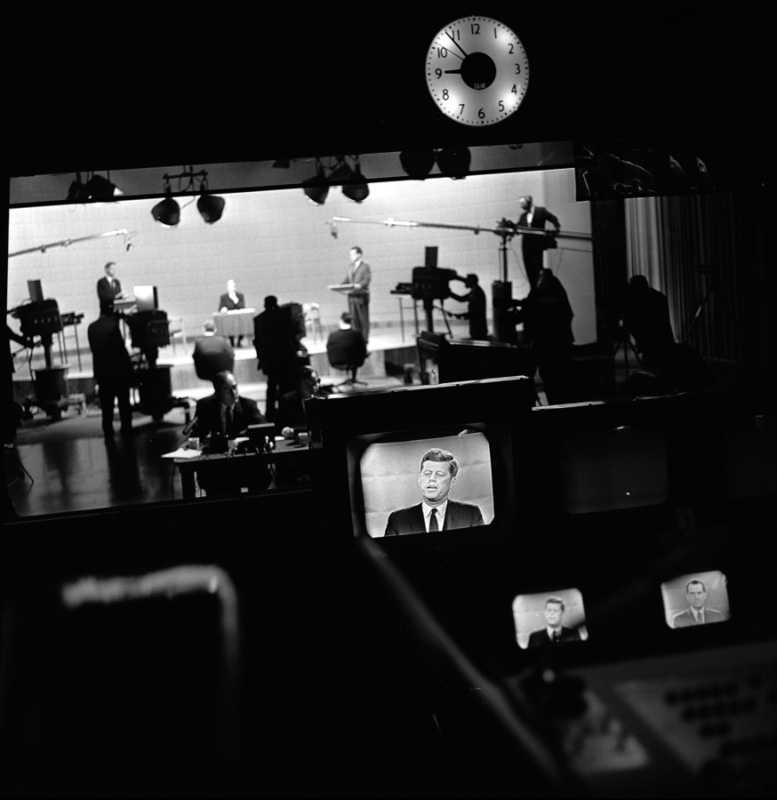 A view from the control room as presidential candidates Senator John F. Kennedy (1917 - 1963) at left, and Vice President Richard M. Nixon (1913 - 1994) center appear on the first-ever televised Presidential debate in Chicago, Illinois, September 26, 1960. Debate host Howard K. Smith sits at a table between them in background. Richard M. Nixon wipes his face with a handkerchief during the nationally televised debate with John F. Kennedy, in Chicago, Ill., Sept. 26, 1960. During the first televised presidential debates in 1960, a cool John F. Kennedy went toe-to-toe with a sweaty Vice President Richard M. Nixon. Maybe it was just the hot lights and the fact that he was recovering from a recent hospitalization, or maybe it was more, but viewers certainly seemed to notice. The effect of the debates on the outcome of the election is often discussed, but never proven. Are you hoping tonight’s debate will help you decide? Will there be a memorable moment between Mitt Romney and Barack Obama that could be the deciding factor? We’ll be watching it too, so join us in the discussion - here’s how. On Oct. 21, 1960, Sen. John F. Kennedy, D-Mass., right, and Vice President Richard M. Nixon appeared in the fourth presidential debate from a New York studio. John F. Kennedy and Richard M. Nixon during the 1960 debates. Watch the entire Kennedy-Nixon debate below, and NBC's report on the history of the presidential debates with Chuck Todd. 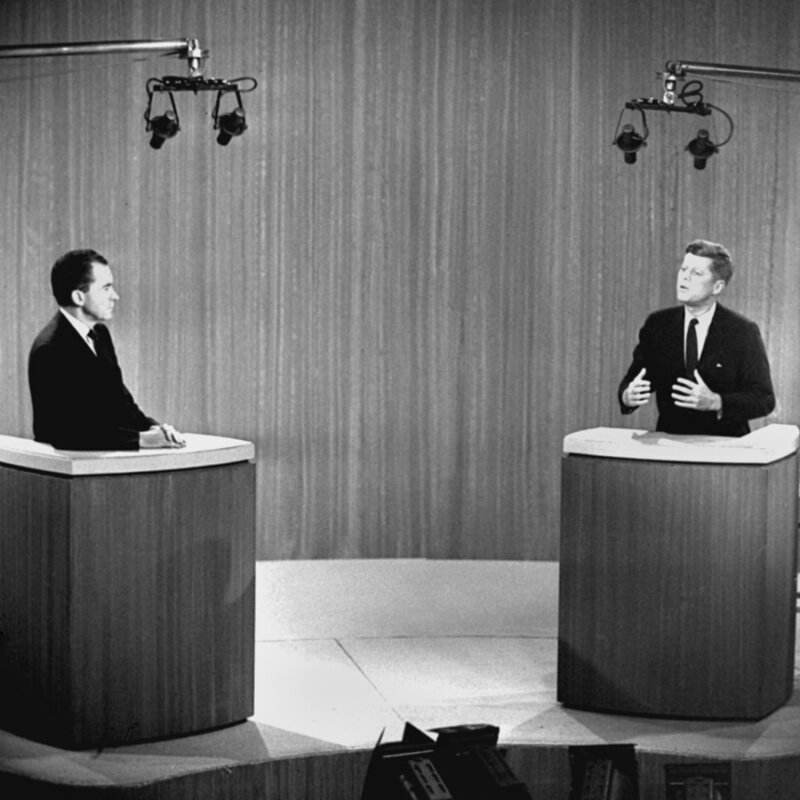 Sept. 26, 1960: John F. Kennedy and Richard Nixon square off in the first-ever televised presidential debate. The Daily Rundown's Chuck Todd takes a "deep dive" into key presidential debates in America's history.